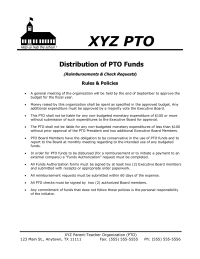 Complete set of sample bylaws for a PTO, including the IRS-required conflict of interest policy, translated for Spanish-speaking parent groups. 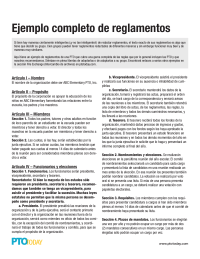 Complete sample bylaws in English also available. 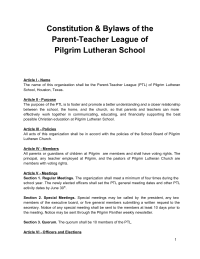 Constitution and Bylaws for private Lutheran school, K-8. 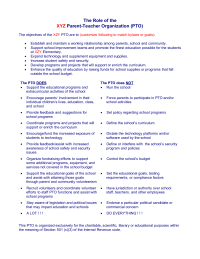 Sample of what a Policies and Procedures Binder is and what could go in one. A Sample set of Standing Rules. 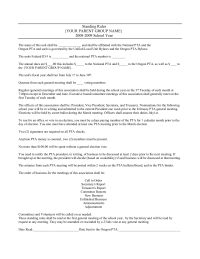 Complete sample bylaws with explanations for each section. 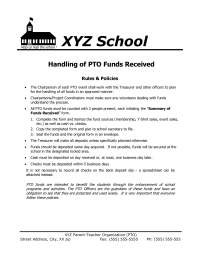 Simple, one-page flyer listing general policies for handling funds received. 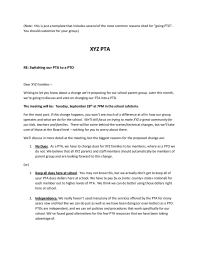 These bylaws are the ones we use for our middle school PTO. They are very basic, but have the essentials. 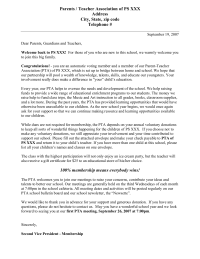 PTA Membership Letter welcoming and informing of the association. 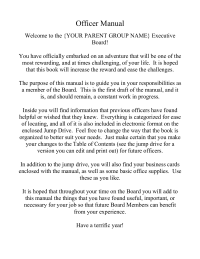 Comprehensive guide to help parent group leaders be the best they can be, from setting priorities for the group to maximizing involvement. Downloads: 2294 Hot! Members only ? 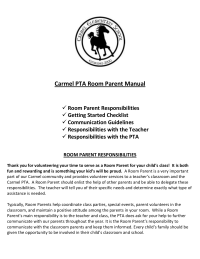 Examples of mission statements taken from real parent groups; learn more in the PTO Leader's Toolkit. Downloads: 922 Hot! Members only ? 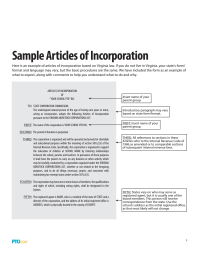 Example of articles of incorporation based on Virginia law, along with comments to help you understand what to do and why. 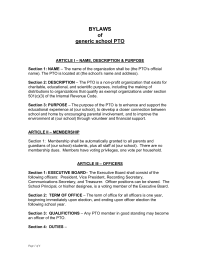 Format and language vary from state to state, but the basic procedures will be the same. 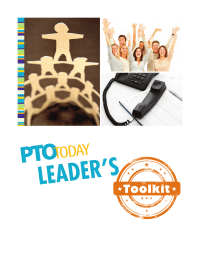 Find out more about incorporating your parent group in the PTO Startup Toolkit. Downloads: 643 Members only ? 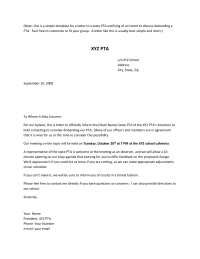 PTO Today's comprehensive guide for starting a new parent group walks you through all the essential steps to make your group a successful independent entity. The toolkit includes information and tools for getting organized, incorporating your group, applying for nonprofit status, writing bylaws, and filing for tax-exempt status with the IRS—including step-by-step guidance to completing the required Form 1023-EZ or the longer Form 1023. Downloads: 3592 Hot! Members only ? 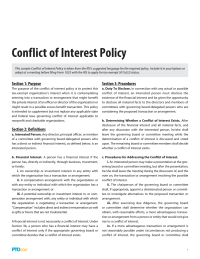 Sample conflict of interest statement from the IRS, to include in your bylaws or adopt before filing IRS Form 1023 for nonprofit status. 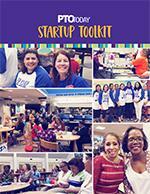 Find more information about creating bylaws in the PTO Startup Toolkit. Downloads: 1082 Hot! Members only ?